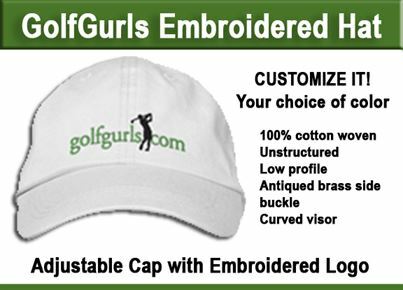 Love to travel for golf? Then you have to put Australia on your “bucket list.” Guest author, Annabel Taylor offers her take on the very best golf courses to play in and around Sydney. In Australia, golf is the country’s number one participant sport with over 470,000 Aussies belonging to a golf club. With over 1,800 golf courses to choose from, the variety is truly staggering. If your destination is Sydney, focus your travel plans on playing five of the best golf courses that can be found. This golf club is home to a very popular and well rated golf course. In 2001, this course became an Audubon International Certified Cooperative Sanctuary course, illustrating its quality. Its tree lined parkland layout will not disappoint, with several attractive features and many outstanding holes to enjoy. A well-crafted design, plenty of golfing challenge and immaculate upkeep all contribute to the attractiveness of this course. Although it is a private club, overseas visitors can contact the club to book playing time. This golf club’s excellent 18-hole parkland layout consists of four loops of holes that go down and back up to the sloping terrain from the club house. The fairways are pleasantly tree-lined with various gum trees and firs, but they do not make you feel “crowed in” at any point of the course. Many “in play” hazards, fairly deep greenside bunkering and the slope and large greens will likely present the greatest challenge to your scorecard and require some careful course management sometime. The back nine begins in a more ornamental and garden like setting, signaling that water will play a larger role as you thread your way through the finishing stretches. It is a well rated golf course with many excellent holes and attractive features to enjoy. Pymble is famous for the many geese and black swans that frequent the 16 hole area. Additionally, crimson and eastern rosellas, kookaburras, rainbow lorikeets, plovers, magpies and many other varieties are common. These animals make the course more appealing for people who enjoy wildlife as well as golfing. It is one of Sydney’s lesser known golfing gems. This golf course occupies the whole area of a gently sloping piece of headland, which extends into the Pacific Ocean. This allows you to see the beaches and cliffs of North Sydney as you play. The gold house also has a lovely view onto the Tasman Sea and Collaroy Basin. This is undoubtedly one of the most picturesque golf courses in Sydney. Located on the edge of Ku-ring gai Chase national park, this is a well laid out golf course where you can play on immaculately maintained grounds, without distraction from housing or roads. The 18 hole course runs alongside the national park with ponds and lakes liberally deployed as well as nicely mapped out fairways. These are just a few of the best golf courses found in Sydney as well as Australia. 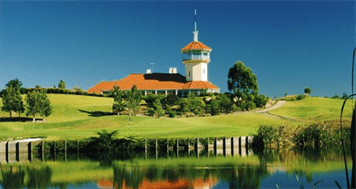 For overseas visitors, Australia is a one of a kind golfing destination. Just apply for your Australian Visa online and get the chance to experience a golfing experience like no other. About the author: Anna is an avid reader and blogger. Since her early years she’s had a passion for writing. Her areas of interest are food, reviews (Book/Movie), Travel, Fashion, Lifestyle and fitness. She works as a guest blogger on her chosen areas of interest. 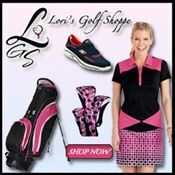 Her articles where published on different blogs namely golfgurls, pricestylist and many more. She is a permanent Guest Contributor at ArchitectWeekly. Currently she works for Australian Visa.